We tend to "take for granted" these devotions that have been around for centuries, but there is still so much to learn. 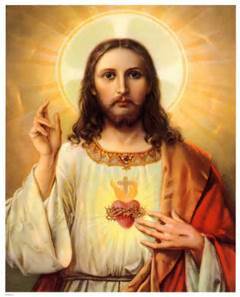 This is June, the month of the Sacred Heart. Let me invite you to use this picture above as a point of contemplation for the month. The Lord will continue to reveal His heart to you throughout the month......if you are open. Start today, asking The Lord to open your heart...to His heart! We'll talk more of this next time!